– A letter of collaboration from the Ministry of Education and Department of Disaster Management. The Lotus in the middle with 8 petals represents the eight SAARC Countries. The intent of the Foundation is to help in promoting Regional Cooperation, Peace and Harmony through Education, Cultural interaction and mutual understanding among the people of South Asia through youth related activities. It is hoped that BJTF would achieve its goal through activities such as Youth Friendship Camps; Cultural Exchange Programme, opportunities to carry out research in areas related to South Asia Forest in collaboration with other SAF Countries. 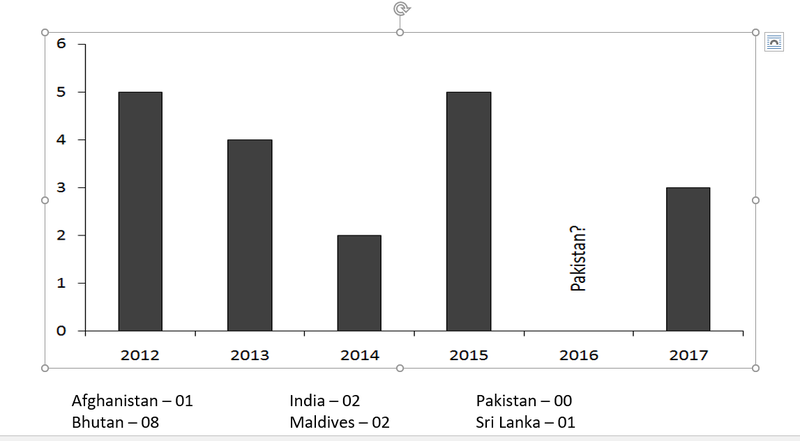 However, we did not get any offer from Pakistan for the year 2017. Unfortunately we were able to send only one candidate for MA in South Asian Studies as the second candidate withdrew due to family problems. Nepal offers only one scholarship once every four years in BA Sustainable Development Program. As of now one has graduated and the second candidate is studying in 2nd year. We are pleased to report here that all the candidates are doing well in their place of studies with very few hitches. “A fascinating experience with very experienced professionals as well as visiting faculty from reputed organizations like the BBC and The Hindu. An ‘integrated newsroom’ provides us the experience of working in a 24x7 multimedia newsroom. I am very fortunate to have been awarded this scholarship”. Mr. Deepak Upreti (Masters in South Asian Studies) Pondicherry says – “Facilities like room, safety and security are excellent”. Over 65 Bhutanese students have benefited from Madanjeet Group Scholarship and most of them are doing well in various organizations. Ms. Zuku Nima and few others are active artists at VAST Bhutan. They also do a lot of freelance designing and illustration works at VAST. ü There are very few books for Masters in Green Energy Technology at the University library. ü The process of availing the degree certificate is delayed after completing the course. ü The kitchen facilities at Pondicherry University for students of South Asian Studies need to be improved. As of now 10 students have graduated from Bangladesh, Bhutan, India and Nepal. Currently 8 students are undergoing their degree studies. UMCSAFS is yet to get a student from Pakistan to study B.Sc Forestry. A student from Maldives left the scholarship a month back and we are yet to hear the reasons from her as well as from SAF –Maldives. Mr. Sunil Sapkota, a Madanjeet scholar from Nepal participated in the 13th Conference of Youth (COY) in Bonn, Germany from 2 - 4 November 2017. Mr. Sunil Sapkota is a very active member of the international Plant-for-the-Planet Children´s and Youth Initiative and participated at the Plant-for-the-Planet Youth Summit 2017 to represent the youth of SAARC. 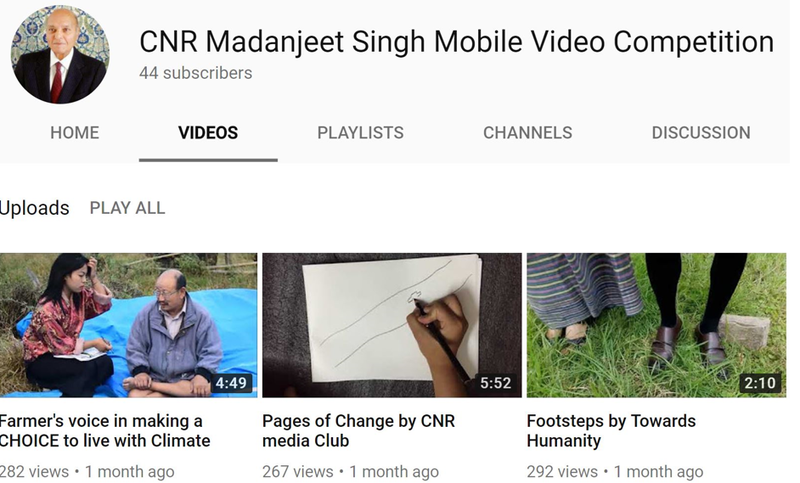 An open mobile video competition was organized by Madanjeet Group Scholarship Students for the students studying at the College of Natural Resources. It was participated by 7 groups comprising of 41 students from the college. - One meeting within the students to deliberate on some issues and plans to contribute to the college and the community. UNESCO Madanjeet Centre for South Asia Forestry Studies [UMCSAFS] conducted its first ever Advisory Council meeting since its establishment. 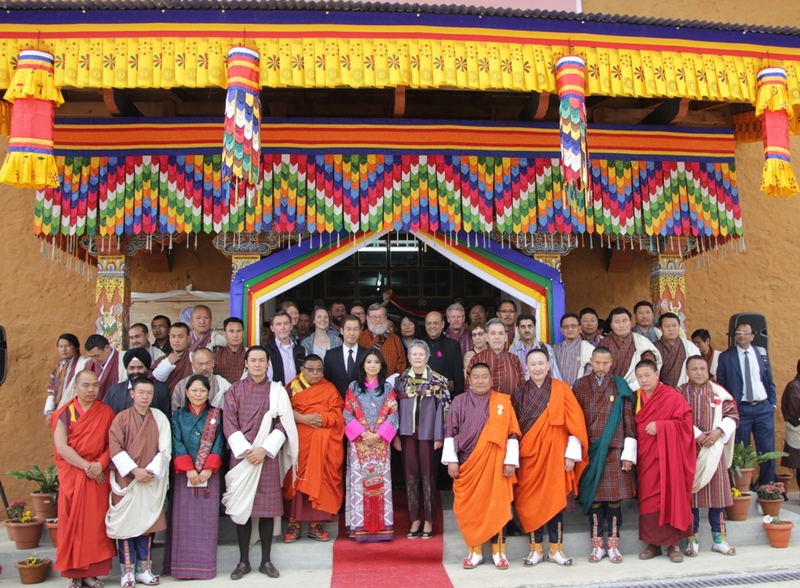 The council never met as it was difficult to get participation of “One SAF Trustee and 4 subject experts nominated by SAF founder (2 from SAARC countries)” as required by the Memorandum of Understanding [MoU] signed between the Ugyen Wangchuck Institute for Conservation and Environment [UWICE] and the South Asia Foundation [SAF], for the establishment of Madanjeet Singh Center for South Asia Forestry Studies at the UWICE on March 17, 2010. However, this year UMCSAFS decided to conduct the meeting considering the importance of such meeting and also to propose the change in members during the revision of MoU. The first Advisory Council meeting was chaired by Honorable Secretary, Ministry of Agriculture and Forests. ü The members proposed for change in Advisory Council Members of UMCSAFS: It was suggested that doing away with subject experts and in place of subject experts, Director, Department of Forests and Park Services and Administrative Officer, Ugyen Wangchuck Institute for Conservation and Environmental Research to be added as new members. SAF Bhutan office to represent the Trustee member. ü MoU between SAF and Ugyen Wangchuck Conservation and Environmental Research Institute has expired and need to be renewed. A draft revised MoU is attached for endorsement from the UMCSAFS Advisory Council and Governing Council members prior to signing. Audit – Since SAF requires UMCSAFS to provide with Audited accounts while asking for release of annual funds, the Advisory Council advised that UWICER should write to Royal Audit Authority requesting to include in their yearly plan to audit Madanjeet account by July every year or explore the possibility of having the Madanjeet account audited by the internal auditor. There have been cases where some of the students have difficulty in coping up with the Degree Program due to inadequate working knowledge of English. Therefore, it is necessary to have more efficient selection procedure to avoid such problems. Further, we need to have a common system in place to deal with students who leave during the session to avoid wastage of resources. In conclusion we would like to thank SAF for the continuous support and wish you all a fruitful Governing Council Meeting.